If I remember the story correctly, long ago, Pete's aunt and uncle were on their way to London for a huge meet-up of a Christian-sect-which-shall-remain-nameless. They popped in to say hello to their relatives in Manchester. They were filled with excitement. It was going to be the end of the world, and they were two of the select chosen. It was all going to happen on Saturday afternoon. The end of the world. Pete bid them farewell as he left the house to go off with his mates. "Have a good time," he said. "Oh, we will," his aunt replied. "We have tickets for the theater Saturday night." That would be the Saturday night after the Saturday afternoon rapture. Oh, ye of little faith. Perhaps it was precisely the fact that they had purchased those damn tickets that the rapture didn't come. It's plausible that those two are the reason for the failed end of the world in 1975. Anything is plausible. Anything is possible. 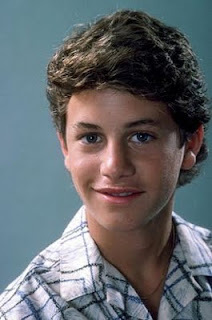 Maybe Kirk Cameron is going to go immediately up in the rapture Saturday. Maybe those chosen ones prepaying for the care of their pets in a post-rapture world aren't losing $20 each. Maybe some prime church real estate will be available under squatters' rights come Saturday. Maybe Harold Camping did just make a simple mathematical error when he originally cited Sept. 6, 1994, as R day, but he's taken a remedial math course and now has it right. Or maybe it will go down more like it did for this poor schmuck in 2003. All my peeps were gone Saturday night. I'll admit I was a little creeped out when I couldn't get any of them to answer the phone around 6:30.